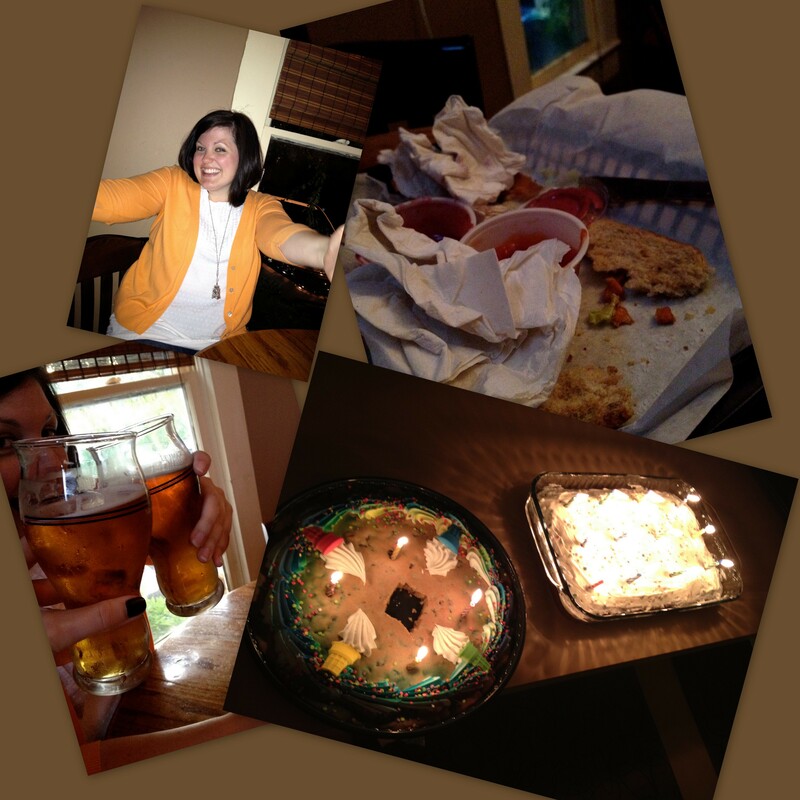 The first day of my trip was Sunday, which was also my birthday. Anyone with a Summer birthday knows to keep expectations generally low for birthday ado, and generally anticipates rather low-key celebrations. I used to live my birthday with an accompanying level of disappointment because my “day” could never live up to my friends’ celebrations, the ones who had birthdays at much more convenient times. When I was younger this meant I was mad because I couldn’t bring cupcakes to school. In college it meant not getting the whole dorm floor to Applebee’s. Now, it’s not such a big deal. It feels much more celebratory, actually, to usher in the new year quietly, with whomever happens to be around. With cake; always with cake. Duh-doy. 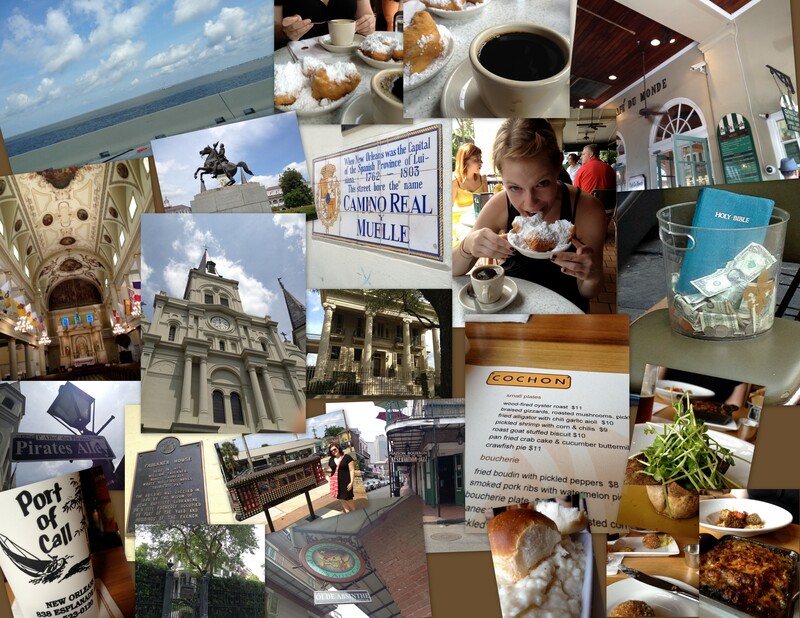 The next day we ventured westward to New Orleans. I had never been, and it seemed like a must-do sort of place. Clearly the first stop was Cafe du Monde, where our tired and hungry selves experienced full-on sugared/fried/caffeinated bliss followed by a crash somewhere on the edge of the French Quarter. We walked from beignet heaven through the Cathedral, down Pirate’s Alley, and observed the architecture and smells of the city. After wandering through the French Market (where some awkward stoner proclaimed from his stand, “I made a film about the American Hobo.” Yes you did, buddy. And proud we are of you.) we walked to Port of Call. This had been recommended to us for their burgers, but mostly I wanted to go because the Over the Rhine song “Jesus in New Orleans,” was inspired by the time Karin enjoyed a burger and drink here. Then we made our way down Bourbon street (really pretty sad), to the car, and drove towards and through the Garden District. After walking around the over-priced shops on Magazine Street, we ended the birthday party at Cochon. Oh my goodness was that food ever delicious. the boudin balls and the grits were the absolute best thing I ate that day (beignets excepted).